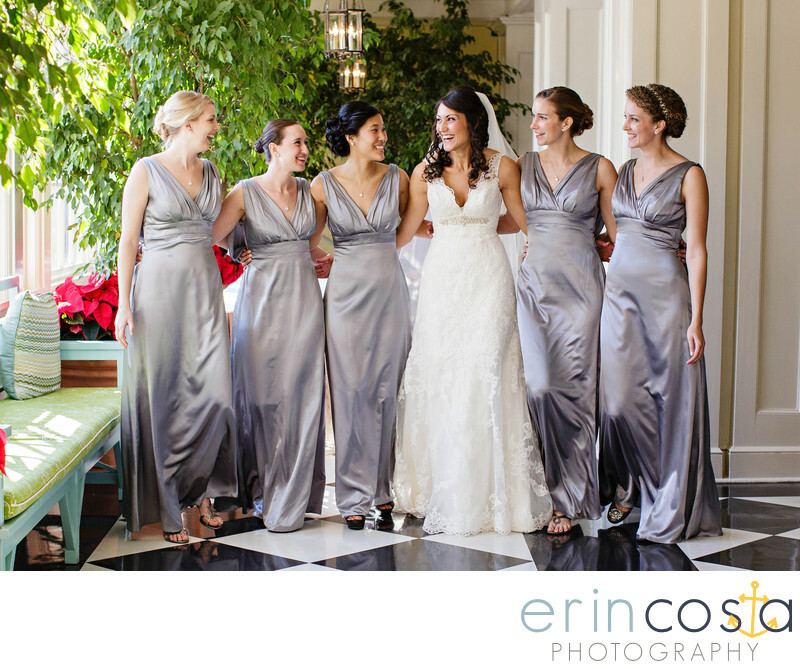 I love these classically elegant bridesmaid dresses photographed at the Carolina Inn in Chapel Hill. The Carolina Inn is a Chapel Hill landmark, and I love photographing weddings there. Leigh met her future husband while attending school at UNC, so it only made sense to host their reception at this historic landmark. Location: 211 Pittsboro St, Chapel Hill, NC 27516.